Everyone needs a safe corner in which they can retreat, so make sure you provide them with somewhere to relax and recharge. Make sure your pet bird doesn’t get too cold during the winter months. Try locating their cage away from doors and drafty windows. Cover them over with a blanket at night, especially when the central heating goes off. Make sure their cage is well away from central heating/radiators so that they don’t get too warm. It’s important to keep them hydrated. Winter’s decreased humidity means your bird’s skin and feathers will become much dryer. Daily fresh clean water will do the trick. Watch out for toxic fumes from non-stick frying pans. With the doors shut because of the cold weather, fumes could build up and can cause severe respiratory problems for pet birds. Simply move them out of the kitchen, into a different room to avoid the fumes. Birds are neophobic and don’t like change. Christmas trees and decorations can spook them out, so keep a close eye on your bird and move them if they show any signs of distress. Stick to their normal routine – parrots in particular need a good 12 hours sleep at night so make sure you put them somewhere nice and quiet in the evening if you have visitors. The festive season comes with lots of tasty food and treats for us but remember that your pet bird should stick to their usual diet. Don’t share your Christmas dinner leftovers! 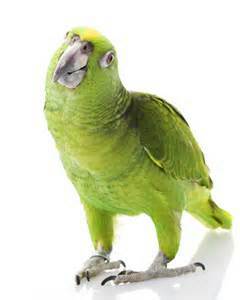 Some of our food can be extremely poisonous to pet birds, such as chocolate and avocado. There’s always chocolate around at Christmas so make sure you keep it out of reach. As always, if you are worried, or know your pet bird is particularly sensitive, it may be worth seeking the advice of a vet beforehand.